Earn up to 632 reward points. Get your kids on the beat! 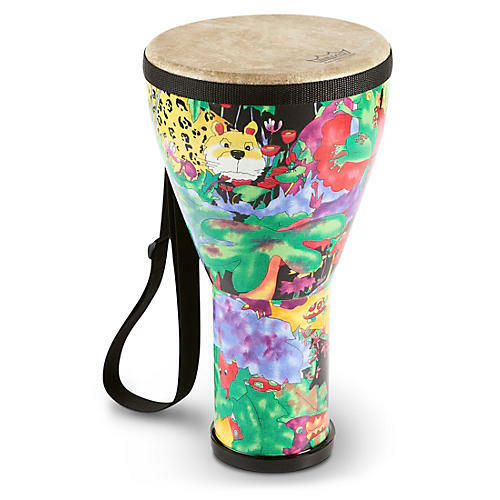 Part of Remo Drum's award-winning kids' percussion line this 8" x 14" djembe is graced with a rain forest design. A perfect hand drum for use in drum circles and educational settings.